A long, long time ago, when this series first began, it launched with Glitter Gal Suede holo (HERE). 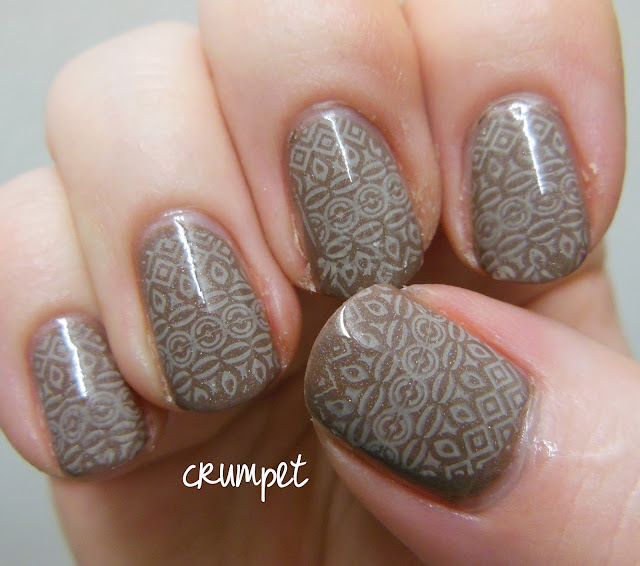 Today we have that same gorgeous polish, but this time stamped with this fab Aztec style print from BM-315. On of the things I love about this mani, is that from a distance, it just looks dappled. The pattern is indistinct, and it just looks like you have some milky coffee wondrousness on your nails. 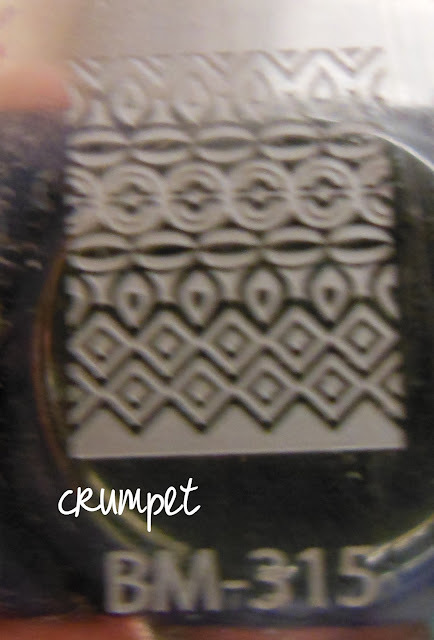 Up close, and the pattern is clear for all to see. This was actually stamped with white (probably Sally Hansen White On) and I love how it absorbs the base and blends in with it, rather than sitting aloof and apart. As you can see, the white isn't stark, but has mutated towards greige.